We can look back on 30 years of software development. Much has happened during that time. 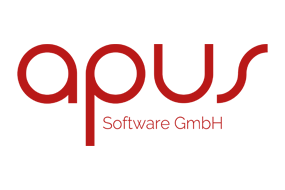 APUS Software GmbH was founded back when people still stored data on 3.5” diskettes. The Internet was limited to universities and mobile phones were few and far between. Today we live in a networked world and talk of the cloud, artificial intelligence, virtual realities, self-driving cars, and housekeeping robots. We’ve built up a lot of experience over those 30 years. Technology has changed to an unimaginable degree, as has the way we develop software. We’d like to share this experience with you.